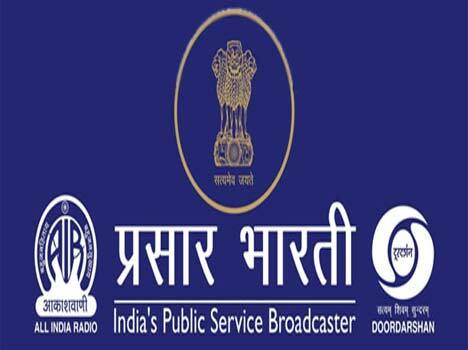 7) Place of work: External Services Division, All India Radio, New Delhi. The applicant should be residing in NCRDelhi. Selection of language interns will be made by a selection committee of AIR through written/type test followed by an interview for those who qualify in the type test and written test. Short listing will be done by the Selection Committee based on the combined ranking in written/type test and interview. A panel shall be prepared for each language, the first two as per merit shall be offered engagement in the first instance, remaining qualified candidates if any shall be waitlisted. The panel shall be valid for one year. The selected candidates will have no claim or right whatsoever for extension of the contract or for regular appointment. candidates can also apply for part-time engagement as Web Assistants in the mentioned language services, their engagement shall be purely on assignment or day to day basis as per the requirement of the office. The maximum bookings available in a year shall be 72 days only. 2) Web Assistant: A panel to be prepared for each language. b) Knowledge of language for which applied preferabiy having a Certificate or Diploma. c) Ability to type in the language for which applied with good speed and fluency (Minimum 45 wpm), besides this should be able to undertake small translations if required from English. d) Knowledge of Internet and computer MSWord for that particular language for which the candidate is applying. 7) Eligible candidates may apply on a plain paper enclosing therewith a copyot the relevant documents in respect of educational qualification, etc. alongwith· two latest·· coloured photographs. The application may’be sent to : . 8) Place of work: External Services Division, All India Radio, New Delhi. The applicant should be residing in NCR Delhi. Selection of Web Assistants will be made by a selection committee of AIR through written/type test followed by interview. Short listing will be done by the Selection Committee based on the combined ranking in written/type test and interview. A panel shall be prepared for each language, the first two as per merit shall be offered engagement in the first instance as per the minimum required qualification. The selected candidates will have no claim or right whatsoever for extension of the contract or for regular appointment.